High salary is one of the top reasons why many Filipinos are working and want to work abroad. 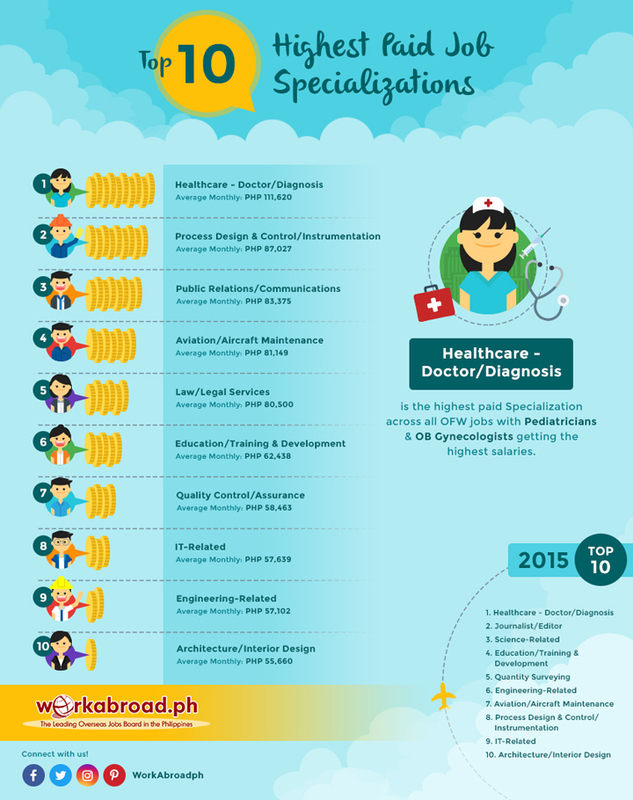 But do you know what is the highest paying jobs for Overseas Filipino Workers (OFW) abroad? According to the Top 10 2016 Salary Report of WorkAbroad.ph, no. 1 in the list are the health care professionals with a monthly average salary of P111, 620 for OFWs. United Arab Emirates (UEA) Canada, New Zealand and the United Kingdom give the highest salary for health care professionals especially those who are in pediatrics and obstetrics and gynecology. In UEA, the highest salary for health care workers is P253, 826. United Kingdom at P153, 333 a month. Top 2 – OFWs in the field of process design and control and instrumentation with an average monthly salary of PHP87,027. Top 3 – OFWs in public relation and communication with an average monthly salary of P83,375. 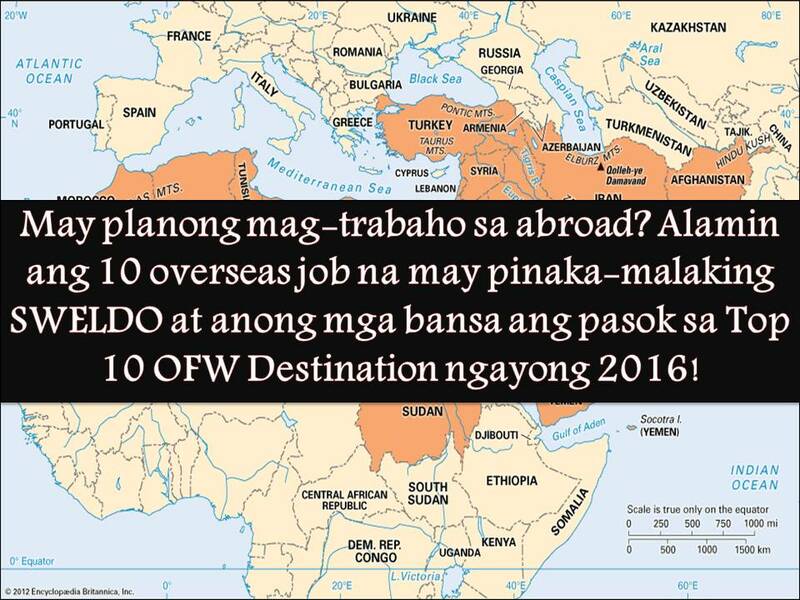 On the other hand, Middle East countries remain as top destinations for OFWs. Included in the Top 10 OFWs Destination are six countries from the Middle East. Aside from 10 countries, OFWs are still in-demand in United States, Germany and around the world.